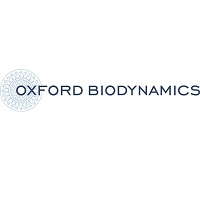 Oxford BioDynamics Plc (LON: OBD) announced today that it has signed an agreement with Imperial College London to utilise its latest EpiSwitch™ biomarker signature for the blood-based diagnosis of prostate cancer in the PROSTAGRAM trial (Prostate Cancer Screening Trial Using a Group of Radiological Approaches Including MRI and Ultrasound), led by Professor Hashim Ahmed, Professor and Chair of Urology at Imperial College London and funded by the Wellcome Trust, TUF and BMA. The aim of the PROSTAGRAM trial is to assess the role of a number of diagnostic approaches, including magnetic resonance imaging (MRI) and multiparametric ultrasound to screen for prostate cancer. Under the terms of the agreement, OBD will evaluate the participants enrolled in the study for prostate cancer, with its EpiSwitch™ proprietary diagnostic biomarker assay. OBD’s assay for prostate cancer is based on six epigenetic systemic blood-based markers and was developed in collaboration with Mr Mathias Winkler, Consultant Urological Surgeon at Charing Cross Hospital, Imperial College Healthcare NHS Trust; and Professor Dmitry Pshezhetskiy, Norwich Medical School, University of East Anglia. The assay has been developed across several cohorts of over 290 patients, with varying disease stages. It has demonstrated consistent sensitivity and specificity of >80% in three blinded validations. In its latest format, performed in MIQE-compliant real-time PCR readouts on blood, the test demonstrated 90% sensitivity and 85% specificity, with a positive predictive value of 90%. Prostate cancer remains one of the most common causes of cancer death in men, with over 11,000 deaths in UK per year.1 The life time risk of death from prostate cancer in the UK is 4.3%, with mortality rates consistently higher than breast cancer mortality.2 The introduction of a viable population-based screening programme for prostate cancer has been a long-standing consideration. Currently, diagnosis for prostate cancer remains challenging. Current clinical practice involves testing Prostate-Specific Antigen (PSA) levels in the blood. However, the UK National Screening Committee recommends against a universal screening programme due to the limitations of PSA as a screening test, which it describes as a “poor test for prostate cancer”. In fact, there is no country or international body that recommends routine PSA screening for all men. The PSA blood test has been reported by independent studies to demonstrate sensitivities and specificities within the range of 32 and 68%. The PROSTAGRAM trial has initiated enrolment and plans to recruit 406 male participants, aged 50 to 69 years old. The recruitment period is expected to last 24 months. 2 Lloyd T, Hounsome L, Mehay A, Mee S, Verne J, Cooper A. Lifetime risk of being diagnosed with, or dying from, prostate cancer by major ethnic group in England 2008-2010. BMC Medicine 2015;13:171. Click OBD for the full archive.